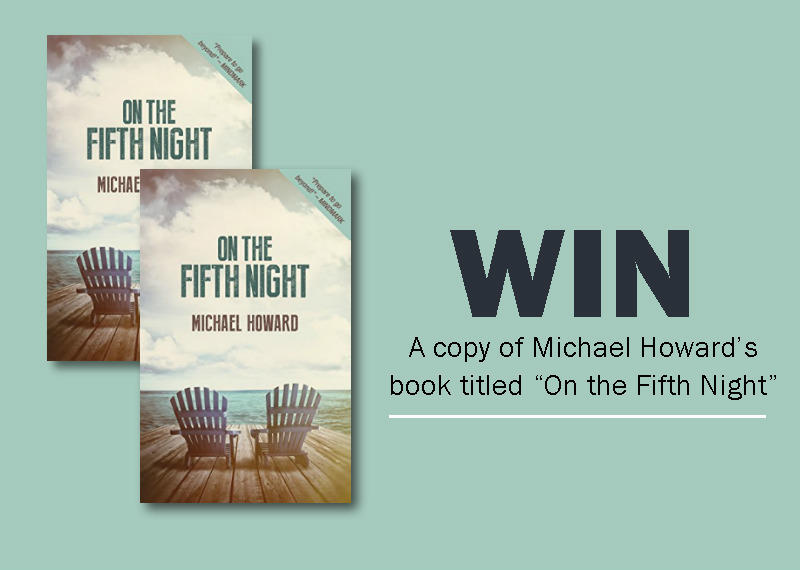 Win a copy of Michael Howard's book On The Fifth Night! 1.1. The Afternoon Express ‘’On the Fifth Night” book Competition (Competition) will be run by Cardova Trading (Pty) Ltd in association with Michael Howard (Organisers/we/us/our). 1.2. Each person entering the Competition (entrants/you/your) and/or accepting a Prize in terms of this Competition agrees and accepts that the Competition rules as set out in these terms and conditions are binding on him/her. 2. Competition PeriodEntries for the Competition will open at 17h00 on Wednesday, 19 October 2016 and will close at 18:00 on Wednesday, 19 October 2016 (Competition Period). 5.1. 2 winners will be selected randomly by means of an automated system from the valid entries received within the Competition period on the closing date of the Competition. Late entries will not be considered. The winner of the Prize will be selected by 12h00 on Thursday, 20 October 2016, subject to clauses 5.2 and 7.3. 5.2. We will notify the Selected Entrant by a telephonic phone call between 12h00 and 18h00 on 19 October 2016 to request a copy of his/her identification document in order to validate his/her entry and to request further contact details. The Selected Entrant shall be required to provide an electronic copy of his/her identification document by 16h00 on Monday 24 October 2016, failing which the Selected Entrant will be disqualified. 5.3. If a Selected Entrant does not supply identification document to us by 18h00 on 24 October 2016, that Selected Entrant will be disqualified. In the event of a disqualification as contemplated herein, we shall have the right to select a different entrant on the same conditions except that such a Selected Entrant has to supply identification within 2 (two) days of it being asked by us. 5.5. The Winners may also be announced live on Afternoon Express once the Winner is confirmed. 7.1. A picture of the winners and the Prize may be required from the winners to be broadcast on the Afternoon Express show on SABC and/or Afternoon Express website. The Winners expressly consent to their image, whether still or moving, being taken and/or published by the organisers. Your attention is drawn specifically to the provisions of regulation 11(3) of the regulations to the Consumer Protection Act, No 68 of 2008 that the Winner may decline the use of his/her image in marketing material. 7.3. The Winners will only be confirmed once a valid copy of his/her identification document is received and a validation process has taken place.